Microsoft Windows 10 is now used by over 600 million people. Microsoft's CEO, Satya Nadella referenced the new milestone for the first time at the company's annual shareholders meeting yesterday. As GeekWire reports, the last time we officially heard the running total of Windows 10 users was back at the BUILD 2017 developers conference, back in May. Microsoft long ago stopped talking about the goal of 1 billion Windows 10 devices in use within two or three years of Windows 10's release (launched in 2015). Nevertheless adding 100 million users in five or six months is impressive, especially whilst neglecting the smartphone market. 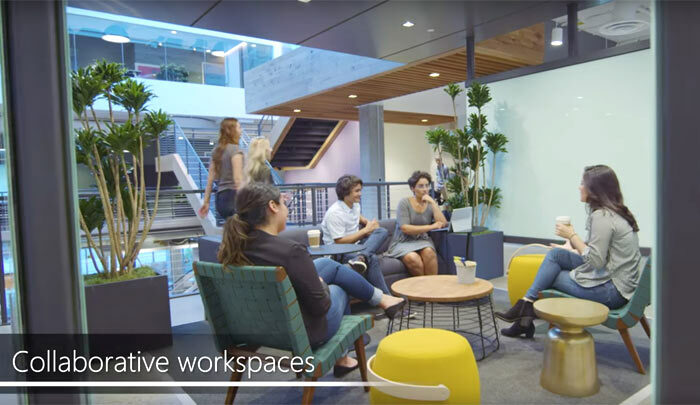 Microsoft has announced a major multi-year campus refresh project. Microsoft has announced that it will be developing its 500 acre Redmond campus to include 18 new buildings, 6.7 million square feet of renovated workspace, $150 million in transportation infrastructure improvements, public spaces, sports fields and new green space. It says that once the multi-year project is complete it will have 131 buildings, 47,000 employees stationed at the campus, and room for expansion with up to 8,000 more people. The design will be modern with pedestrian centric and car free zones, walking and running trails and more. Infrastructure improvements will include a new pedestrian bridge and a light rail link to the heart of the campus. Buildings will be optimised for energy efficiency, and employee spaces within designed to foster creativity, says Microsoft. It is expected that the project will take between five and seven years and involve roughly 2,500 construction and development jobs. The project will start by knocking down some existing buildings, as you can see in the embedded video overview of the project.